recipient: President of the Republic of Vietnam Nguyễn Phú Trọng, Embassy Representative and Minister of Culture, Minister of the Environment and Prime Minister of Vietnam. Please enact a ban on cat and dog meat consumption AND on the torture of any animal, to stop the holocaust of animals in Vietnam. Hundreds of thousands of dogs and cats are killed every year for their meat in Vietnam. Cats are the forgotten victims of the dog meat trade. They are killed in the cruelest ways imaginable, because many Vietnamese believe the insidious myth that the more an animal suffers, the tastier the meat and that the medical properties will be enhanced. Thousands of cats are also slaughtered for soups and so-called "health" tonics. Specifically, there is the necessity to inflict and to sustain suffering as much as possible on the selected creature(s) in order to 'improve the quality' — read 'taste' — of the doomed animal(s). They are thrown into boiling water while still alive. We must take action to persuade the Vietnamese government to legalize a ban on dog and cat meat and forever stop this sordid industry. Eyewitnesses have reported cats being literally torn apart while still alive, with their tormentors saying that the more prolonged the torment of death, the better the taste. 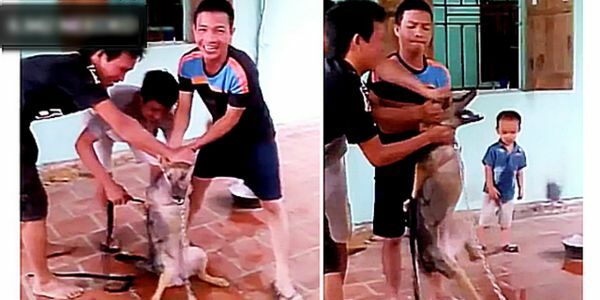 Vietnamese Leaders: Please enact a ban on cat and dog meat consumption and on the torture of any animal!